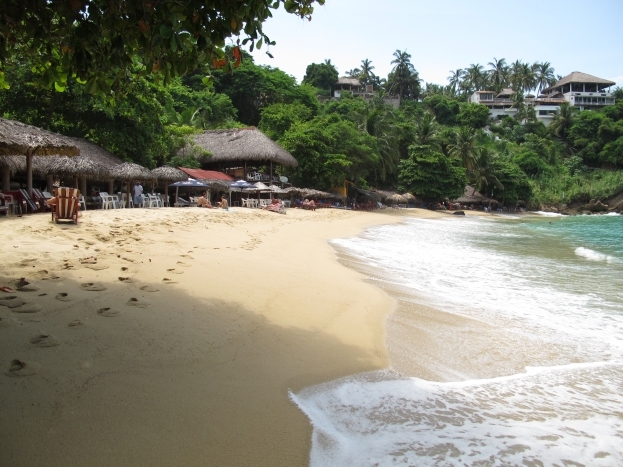 No trip to Mexico would be complete without a thorough investigation of their famous beaches. From the Caribbean in the east, we caught several long buses through the centre of Mexico to the Pacific on the west. 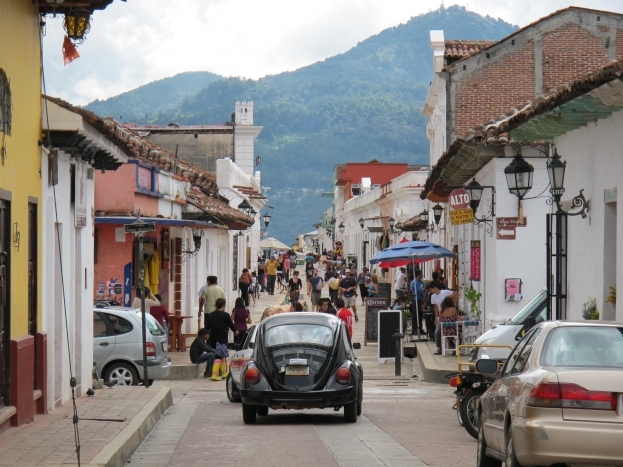 Along the way, we stopped at some Maya ruins in Palenque and at the mountain town of San Christobal de las Casas, where we took a break from the ocean for a couple of days. It was great to get out of the scorching beach sun and see a different side of Mexico. San Christobal has been the location of some pretty serious tension between the indigenous people and the Mexican government in the past, and the rebel posters around town indicated things still aren’t rosy. In fact, travellers are advised to only travel there by day, as armed hold-ups occasionally happen on the road from Palenque at night. e spent our days on foot, checking out the scenery and patiently saying “no gracias” (no thankyou) to the children selling touristy trinkets. The change of scenery was lovely, but after a couple of days, we were hanging to get back to the beach. 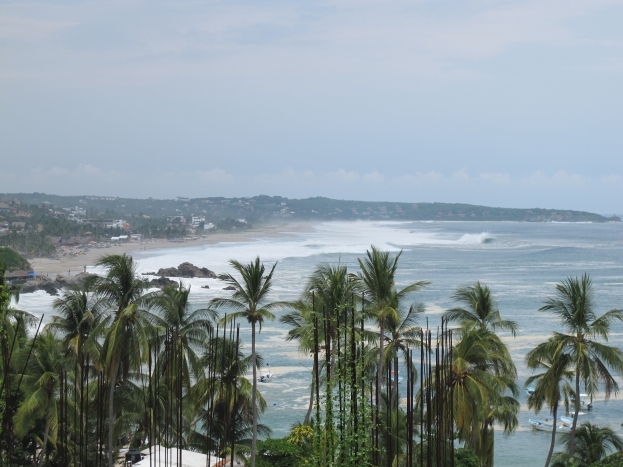 We jumped on an overnight bus and by 7am, could see the crashing waves of Puerto Escondido from our bus window. I’d been craving a surf ever since we left Australia in June, but any dreams of a paddle that day were quickly shattered when we saw the size of the waves. They were at least double the height of the gutsy surfers who were out there, and we saw just as many guys carrying boards snapped in two as whole ones. 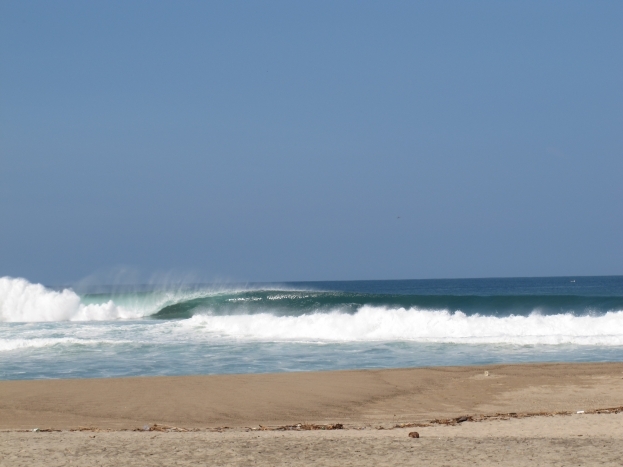 One of the local surfers explained that the deep Pacific ocean suddenly rises to a shallow shelf just off the shore of Puerto Escondido. The result is Mexico’s famous Pipeline, where waves roll in cleanly all day, creating a barrel you’d only usually see in the movies. Along the beach, loyal girlfriends laze on the sand, working on their tans as their blokes get their adrenalin fix. 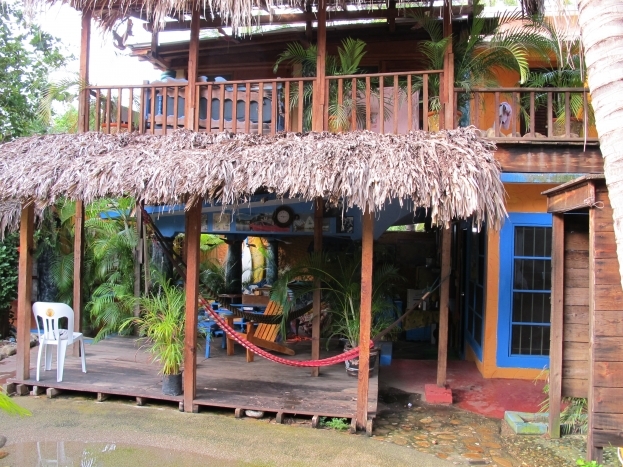 We spent our first couple of days staying across the road from the Pipeline, and making the most of the amazing restaurants that line the beach. But with the mercury rising close to 40 degrees, we decided to reloacte about 10 minutes up the road to be closer to Carrizalillo beach, where you can swim, snorkel and surf (in much more manageable waves). The Tower Bridge hostel proved to be one of the best hostels we’ve stayed at (particularly since it only cost about $20 for a private room). Owned by a friendly British guy called Steve, we met loads of cool people at the poolside bar who were only too happy to give us a taste of the Puerto Escondido night-life. Our days were spent under the shade of a tree at Carrizalillo, reading books, swimming and surfing the mellow waves.